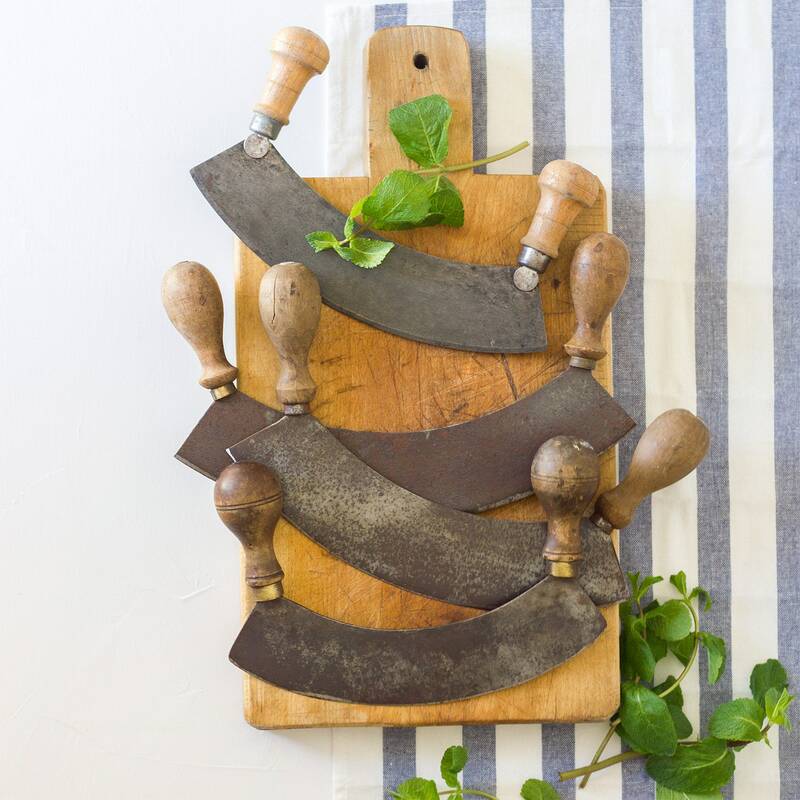 These steel French mezzalunas are timeless kitchen essentials. 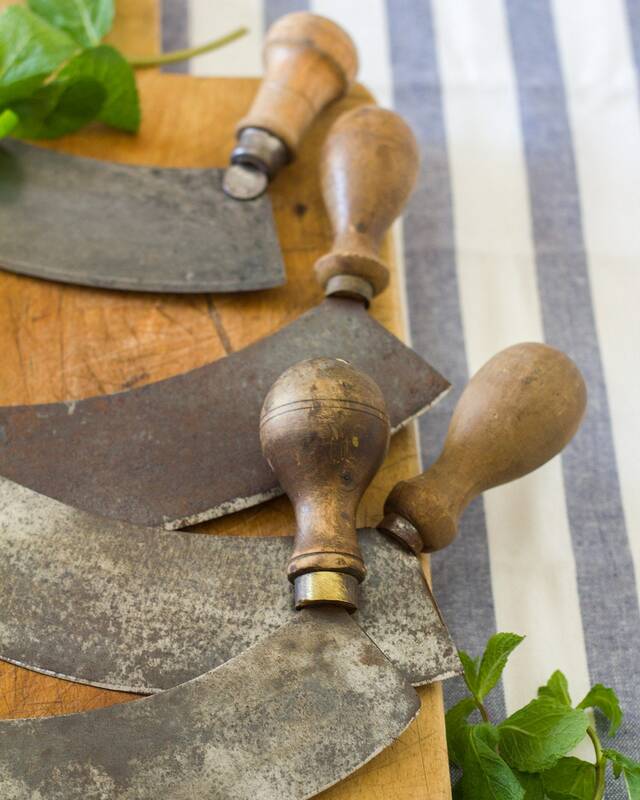 Still perfectly sharp and well cared for, they make easy work of chopping herbs. 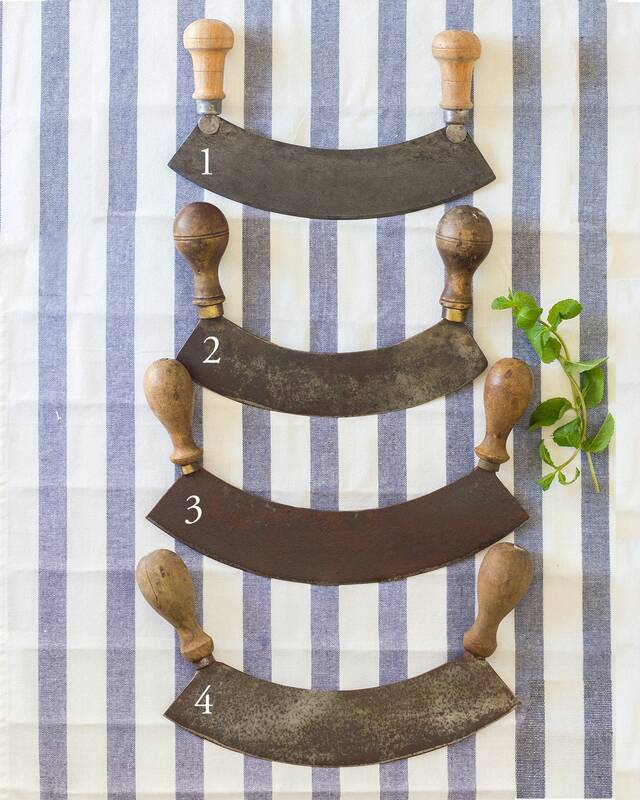 Four are available and each has its own character with turned wood handles. Only two are stamped: #2 is stamped with "Acier Fondu" (crucible steel) and #4 is stamped "Veritable Revollier" for the brand Revollier (see 8th photo). Listing is for one, please choose from the drop down menu. These pieces wear their history like all vintage pieces which only adds to their story. 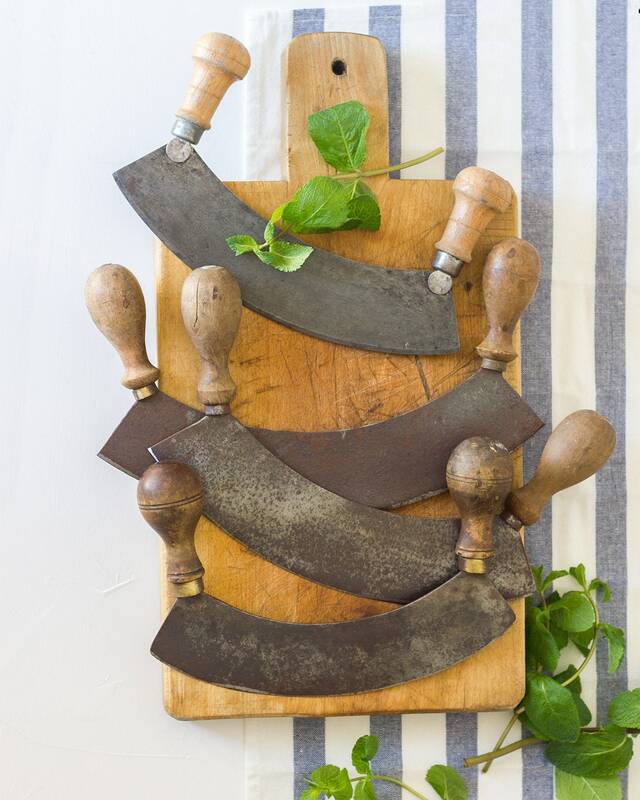 These mezzalunas are in very good condition and have been well cared for. All of the handles are solid and perfectly attached with no movement. 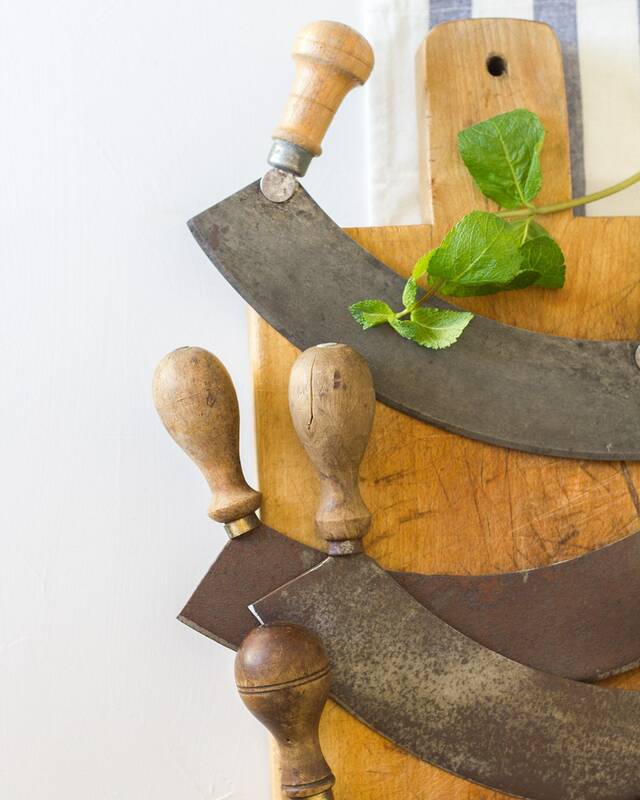 All the blades have been kept sharpened. #1 has no chips or cracks. 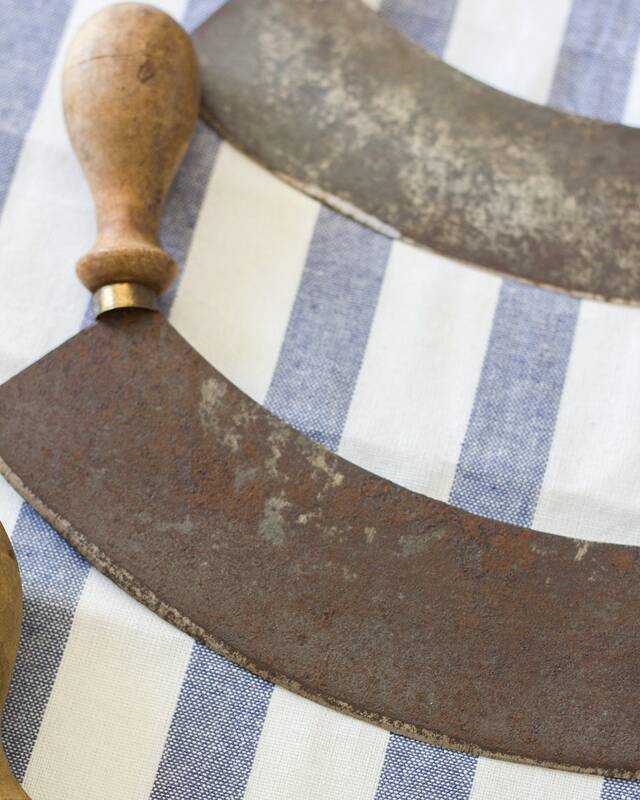 Some wear to the finish on the wood handles and spots of very minor pitting and no rust on the blade. #2 has no chips or cracks. Some rust that has been well polished on the blade. #3 has no chips or cracks. 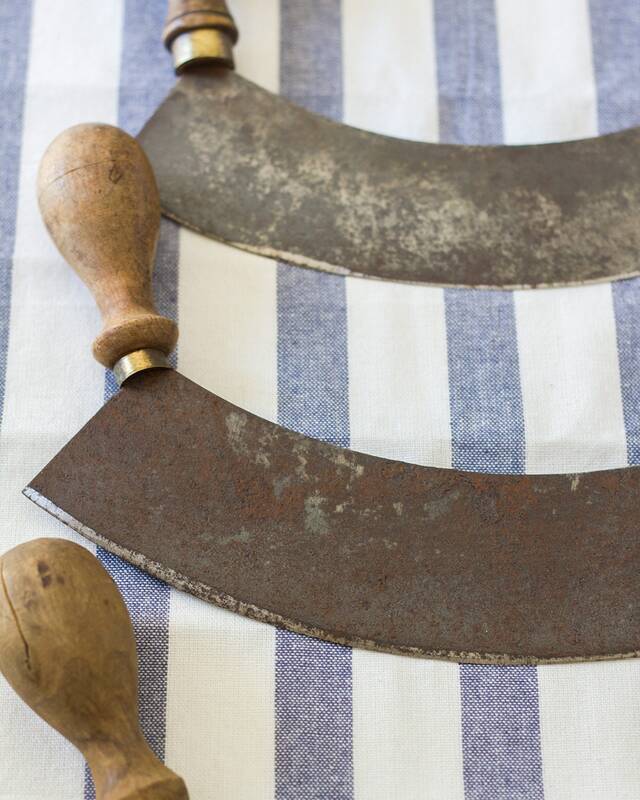 The blade has extensive old rust that has been well polished. #4 has no chips or cracks. The wood of the handles is slightly dry and one has a non-structural crack. 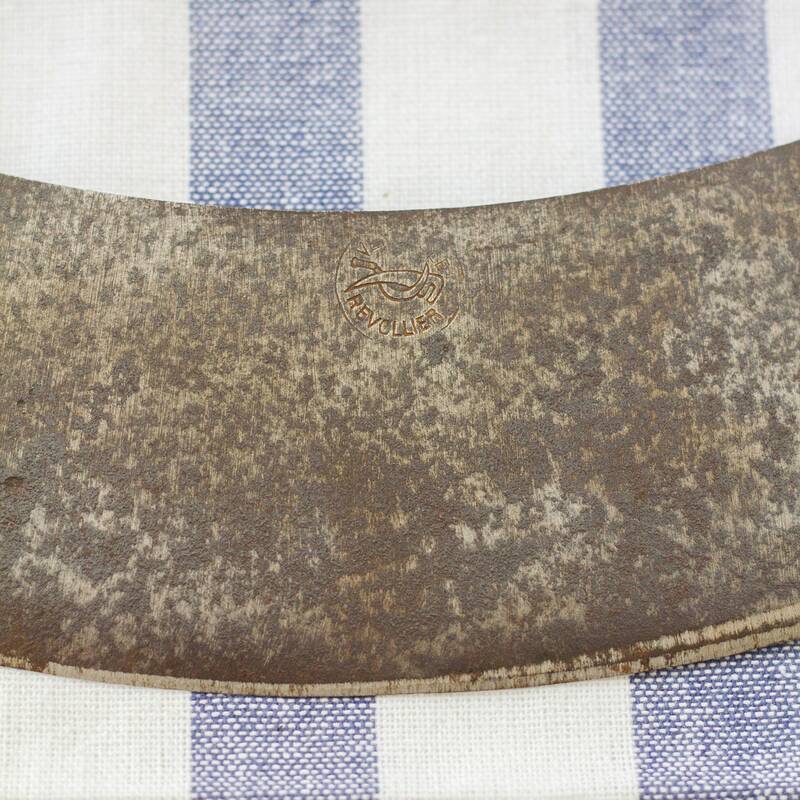 The blade has overall small rust spots that have been well polished.